Swimming pools should be tailored to the place and people they serve. Here at Master Pools of Austin, we use innovation and creativity to craft pools that truly reflect the needs and desires of our clients – from the smallest backyard hot tub, to the most complex waterpark. No matter how imaginative your concept is, our team combine architectural design with specialist craftsmanship to create a finished result that speaks for your home or business. 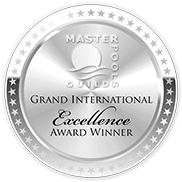 As members of the elite Master Pools Guild, we’ve been recognized for our dedication to offering only the highest quality pools and a superior standard of customer care. Enhance your home in Lakeway with exceptional swimming pool installation from the professionals. Swimming pools take pride of place in many homes, acting as social hubs, blissful sanctuaries, and a place to get fit. No matter what style you’re searching for, we provide: indoor/outdoor swimming pools, above ground swimming pools, Lautner edge, geometric, freeform, and many more. Not only that, but we also offer water features, hot tubs, accessories and outdoor kitchens to complement your final design. To book your free consultation, simply contact our friendly advisers – we’re always happy to help clients across Texas.